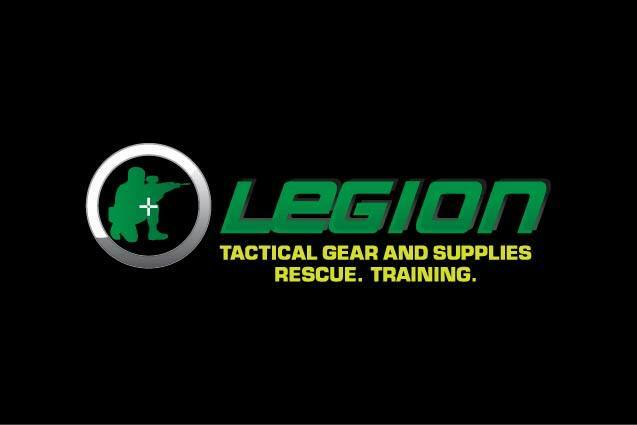 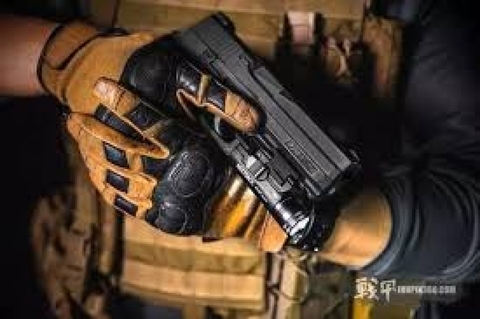 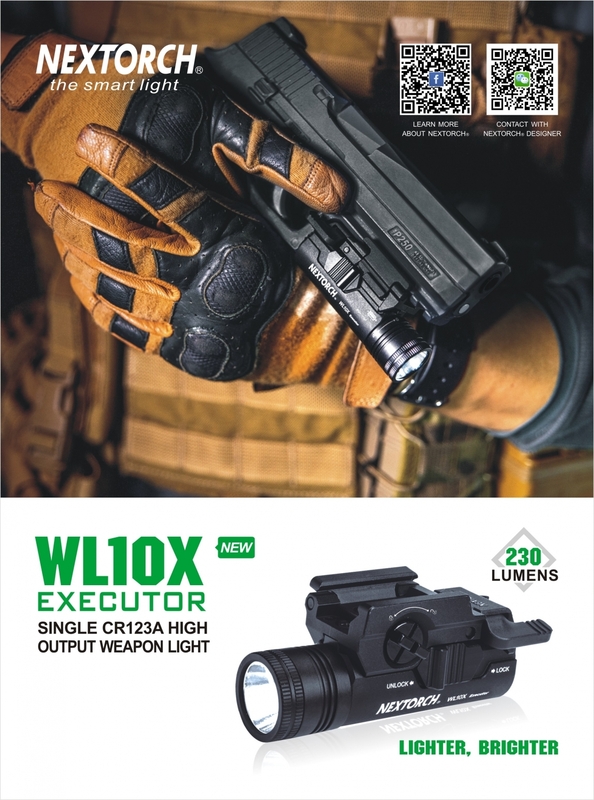 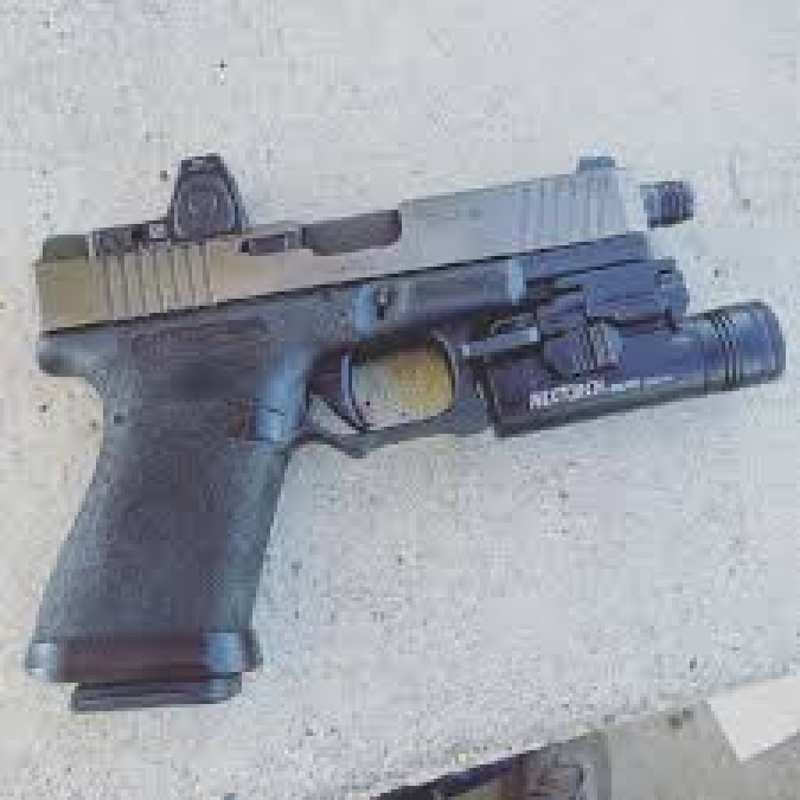 The WL10 Executor is the most practical LED handgun light available, powered by a single CR123A battery and ready for your tactical and self-defense applications. 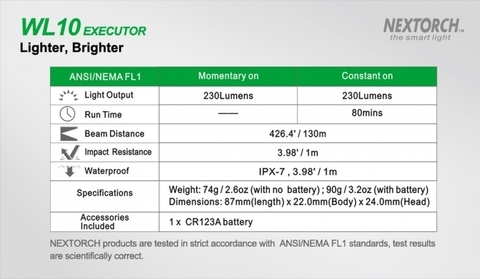 It’s lighter and brighter, weighing only 74g (2.59 oz.) 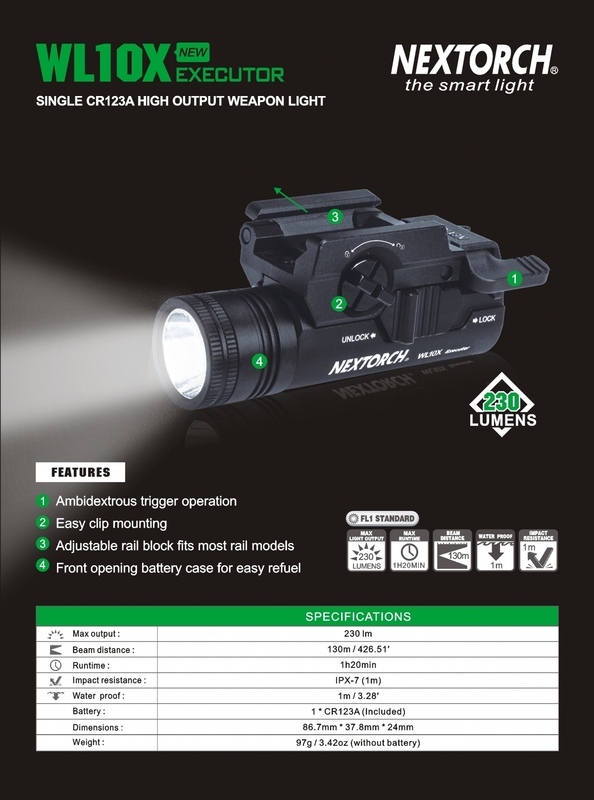 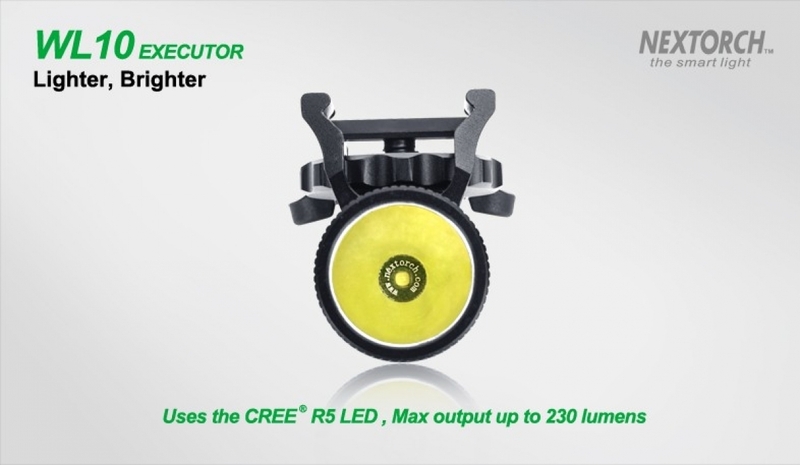 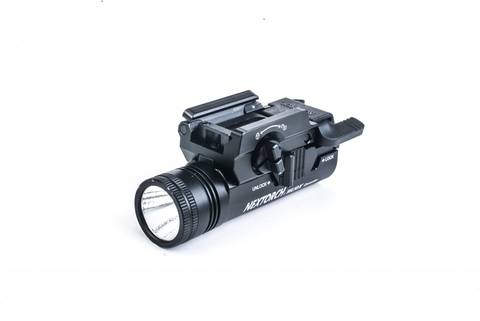 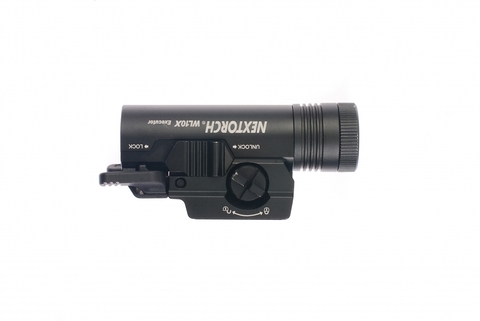 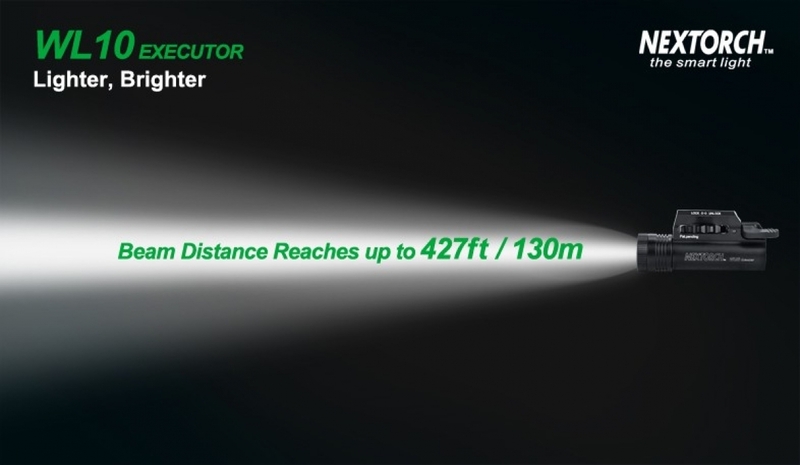 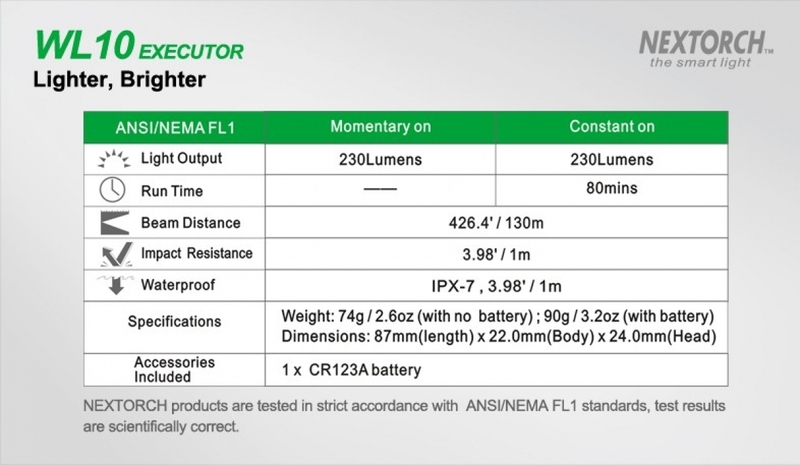 and featuring an ultra-bright 230 lumen output, with a focus beam bright enough for peripheral vision in a dark environment. 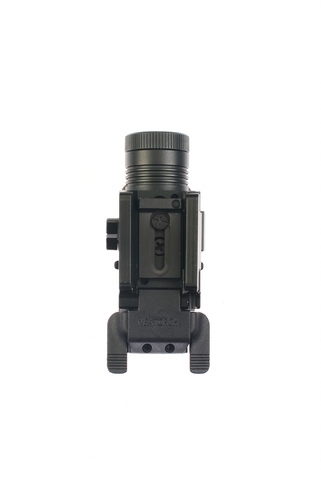 Its universal adjustable rail system provides fast and secure locking capability. 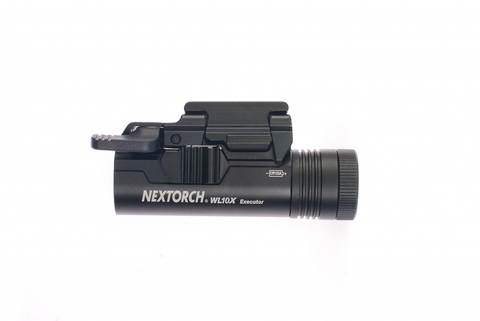 Compact, rugged and reliable, the WL10 Executor is your first choice for a handgun LED light.